Studying for the CPA exam is a significant decision. Between keeping a full time day job and studying for the test, it really requires dedication and time. 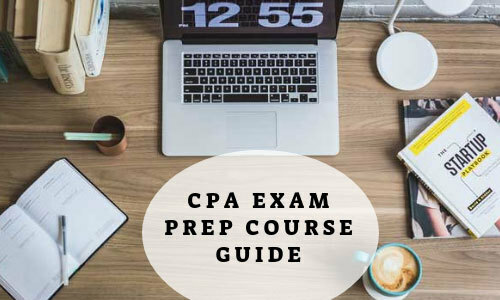 One of the most efficient ways to prepare for the four exams is to utilize a CPA prep course that offers a high quality study program. When I studied for the exam, I followed a self study program. I found that the single most effective method was to regularly practice test questions from a software program that offered adaptive question algorithms. By regularly using practice questions and paying attention to the results, it was much easier to identify my weaknesses. Once I identified areas of improvement, I use the the video lessons and study notes to improve. In between I would regularly use the practice questions in those topic areas to make sure I retained the necessary information. Additionally, by using practice questions, it was also far easier to identify sections that I didn't need to spend as much time studying. With so many available CPA prep course options, it can be overwhelming to identify the right program for you. I created a detailed chart highlighting the major differences among the best prep course providers so you can make a more informed decision. We will continue to update the page over time with more CPA prep course providers. (note: if your viewing the chart on a mobile phone, use your finger to scroll the chart to the left of your screen to see all columns). Becker is probably one of the most well known CPA review providers on the market. Based on their reputation for quality products, Becker is able to charge a premium compared with other CPA review course providers. For students that are not as comfortable with the underlying material and might be interested in the most comprehensive study solution available, Becker might be the right choice. Becker offers two primary comprehensive self study options: the CPA Review and the Becker Bundle. You also have the option of purchasing a single course for each of the 4 section of the exam. For more information, see our full Becker review. Universal doesn't directly compete against the other providers included in our chart. Universal is unique in that it is offering dedicated test bank product at a very competitive price point. One of the best ways to retain information on the CPA exam is to regularly practice test questions from as many different sources as possible. Since most of the larger CPA prep course providers bundle their test bank product with larger packages, it can be cost prohibitive to purchase a supplemental test bank. Universal's new test bank product is designed for people that might benefit from a supplemental test bank product, but haven't found a competitively priced option. You can purchase individual sections for $99 or you can purchase a database that covers all 4 sections for just $299. For a full review of Universal's new test bank product, click here. Surgent's CPA review program is focused around advanced adaptive learning technology combined with leading instructors focused on only the most relevant topics covered on the exam. Surgent backs up its curriculum with a Pass Guarantee. If you use the Surgent program and fail the CPA exam, Surgent will refund your tuition to the course or continue to provide access to the study program until you pass. Another notable element of the Surgent program is free access to coaches. Surgent offers three main courses that cover each part of the CPA exam. You also have the option of purchasing single courses for each of the 4 CPA exam sections separately. Click here to see our full review of Surgent's CPA prep course. Purchasing a CPA review course is a major time and money investment. Yaeger has positioned itself as a more cost effective alternative to the larger CPA study material providers. Rather than overwhelm you with multiple options that include different features and benefits, Yaeger offers one simple comprehensive program that includes all available features at an extremely competitive price point. Students also have the ability to purchase individual sections of the main course for each of the 4 main sections of the exam separately. Click here for our full review of Yaeger CPA. Wiley entered the CPA prep course market through its acquisition of Efficient Learning System's CPAexcel prep course. Since the acquisition, Wiley has retained the original CPAexcel brand name and dramatically expanded the core course offerings. Students have the ability to purchase 3 core study course programs or they can purchase individual courses related to the specific section of the CPA exam they are taking. Wiley also offers a wide range of supplemental products like flash cards, focus notes, and extra practice questions. Wiley has a strong reputation for quality products and a long history of students successfully passing the CPA exam. For more information, see our full Wiley CPAexcel review. Gleim Exam prep is a well known provider in the prep course industry. The Company creates detailed and comprehensive courses for a variety of subjects including accounting. The Company's CPA review course offers three options based on your preferred study habits and confidence levels. With over 40 years providing accounting prep materials, you can be confident that the study materials offer a great combination of successful results driven by efficient material and updated technology. The Roger CPA review program was founded on the basis of making studying for the CPA exam more effective by creating a more engaging and fun learning environment. This approach to studying for the CPA exam ultimately became the Roger Method. Roger's CPA courses are designed to help students make connections within the curriculum, retain information, and apply that knowledge in the real world. Roger offers three primary CPA review courses: select, premier, and elite. Students also have the ability to purchase a range of supplemental course options which include: a cram course, multiple choice question app, digital & print flash cards, and audio lectures. The three primary course options all include an optional monthly payment plan.